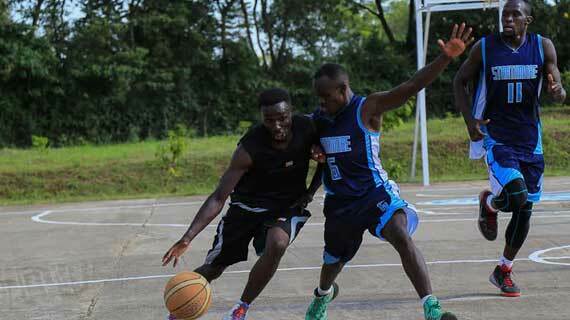 Eagle Wings women's basketball club remained determined to honor their former head tactician Thomas Smatts Olumbo during the 2016 Coach Smatts Olumbo Memorial Cup on Sunday at Strathmore University Grounds. The former Kenya Basketball Federation league holders fought hard to beat Strathmore University Swords 39-33 at their backyard. Turning up for Eagle Wings, Annerose Mandela who is currently playing with league side Kenya Ports Authority, and Debra Atieno were lead scorers with 10 and Eight respectively. To cruise to the finals, Eagle Wings defeated Masaku Sparks 36-29, whereas The students humbled Gladiators 34-21. A quartet of Natalie Akinyi, Linda Nyikuli, Mandella and Atieno who left Eagle wings in the last two seasons (after the passing on of coach Smatts in 2014) returned to feature for the side in his honor.